Actually looks like very few people got it right. 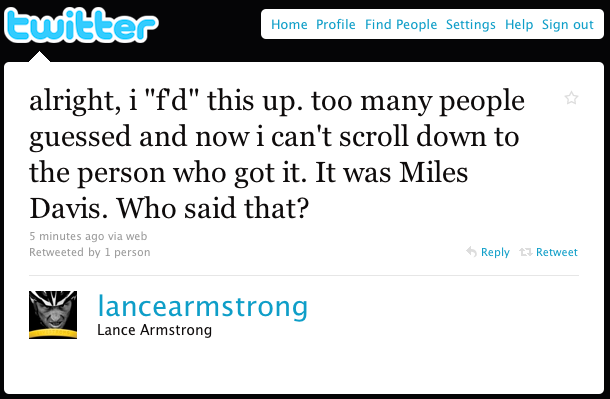 http://search.twitter.com/search?q=%40lancearmstrong+%22miles+davis%22 seems to do the job. Right, but the way Twitter’s archive pagination works on their site tends to fail when you have to step through 20+ pages like I bet he did. 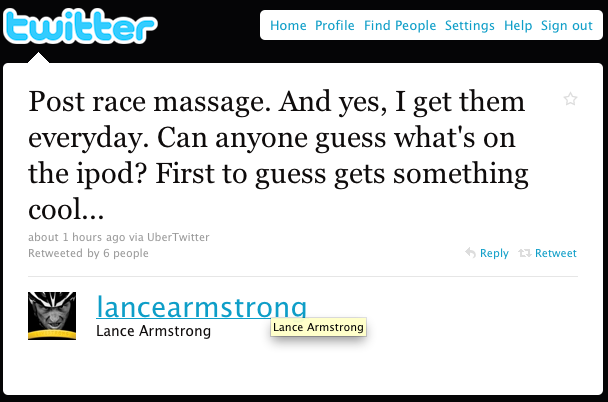 All he had to do was a stupid search for @lancearmstrong AND miles davis! http://bit.ly/9xC4Bh Where’s the problem?